Team - Tavares Group Consulting Inc.
Tavares Group Consulting is a corporate social responsibility (CSR) firm specializing in environmental and health & safety (EHS) and drinking water quality management systems, sustainability planning and implementation, training and communications. Our emphasis on the management systems process approach to sustainability has been developed as a software product, StaarsoftTM to assist businesses to manage comprehensive sustainability programs. Tavares Group Consulting has also participated in the development of the ISO 26000:2010 Guidance on Social Responsibility and the 2004 version and current revision of the ISO 14001 Environmental Management Systems standard. 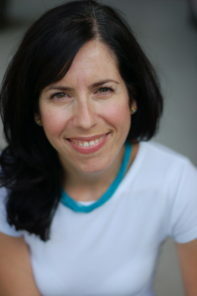 Sandra Tavares is the Principal of Tavares Group Consulting Inc. Since 1995, Sandra's experience has ranged from local Environment and Health & Safety (EHS) management with small firms to global Corporate Social Responsibility (CSR) management with large multinationals. Sandra, a certified Environmental Management System Lead Auditor and Greenhouse Gas Verifier, has conducted EHS management and compliance audits throughout Canada, the U.S. and Mexico. Sandra was an active member of the Canadian Advisory Committees on Environmental Management and Social Responsibility who provided Canadian feedback to the ISO Technical Committees to develop the ISO 14001 and ISO 26000 standards, respectively. Sandra is a former Director of the Board for the Small Business Centre and Environmental Management Resource Centre for Business in London, Ontario and former member of the Canadian Council of Ministers of the Environment's (CCME) Pollution Prevention Awards Advisory Board and the Canadian Manufacturers & Exporters Environmental Quality Committee. Sandra earned her M.Sc. (Plant Science/Environmental Science) from the University of Western Ontario, where she returned to lecture at the Masters of Environment & Sustainability program. She is fluent in English and Portuguese and has a working knowledge of Spanish and Italian. 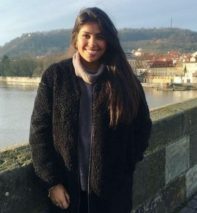 Clementina Consens is a Sustainability Associate for Tavares Group Consulting Inc. Clementina has completed her undergraduate degree as a Specialist in Environmental Geoscience with a minor in GIS at the University of Toronto. Utilizing Staarsoft™ sustainability software, Clementina worked with Bruce Power to benchmark their corporate social responsibility and sustainability programs. She also assisted Bruce Power’s team with strategizing metrics, prioritizing stakeholder relations, and elevating their Environment, Community & Indigenous Relations program. Clementina’s experience includes assisting Ontario First Nations with solid waste management system solutions and source water protection programs. In her role as a Sustainability Associate, she continues working with Staarsoft™ technology to assist organizations in developing a comprehensive sustainability program as well as supporting management systems projects. A Canadian and Uruguayan citizen, Clementina is fluent in English and Spanish. Salena Nazarali is the Marketing Associate for Tavares Group Consulting. She studied Media, Information and Technoculture studies and Digital Communications at Western University, and is experienced with all social media platforms, Hootsuite, Wordpress, MailChimp, Facebook Advertisements, and various additional social marketing tools. She is a skilled Adobe Photoshop and Adobe Illustrator user, and often works as a freelance graphic designer for various clients, including GM Canada, multiple small businesses, and volunteer-based projects. Sustainability and corporate social responsibility are of great interest and importance to Salena. 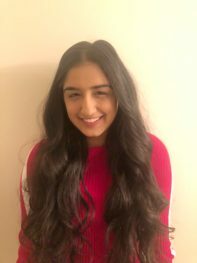 Tanreet Dhaliwal is currently an Engineering student at Western University and hopes to pursue the dual degree program with business in the future. As a FIRST Robotics alumni and President of Business Operations on her high school robotics team she has experience in branding, financial sponsorship, risk mitigation analysis and business sustainability. With a passion for an advocacy for STEM education, Tanreet has facilitated robotics programs for youth both locally and globally. 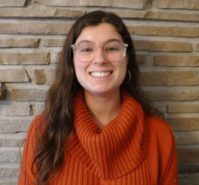 As a enthusiastic first-year student she is very interested in learning more about how organizations can improve their sustainability practices and corporate social responsibility through technology. Throughout her time as an intern, Tanreet will be assisting with the StaarsoftTM marketing strategy and liaising with the software development team for software updates. 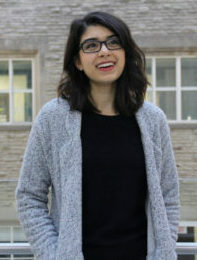 Sydney D'Souza is currently a fourth-year student at Western University and is pursuing a bachelor’s degree in Media, Information and Technoculture accompanied by a Certificate in Writing. Sydney has experience working in Digital Marketing, having been the Marketing Coordinator for a charity soccer tournament over the past four years. Through her studies at Western, Sydney has familiarized herself with the benefits of social media platforms in promoting businesses. As an intern, Sydney will be assisting with TGC and StaarsoftTM’s social media presence and marketing. Sydney is eager to continue to learn about sustainability and corporate social responsibility while at TGC as it is of great importance to her.